Located in the north-east corner of the Arabian Peninsula, Kuwait is one of the smallest countries in the world in terms of land area.The flat, sandy Arabian Desert covers most of Kuwait.Kuwait is Situated in the northern edge of Eastern Arabia at the tip of the Persian Gulf, shares borders with Iraq and Saudi Arabia. Kuwait is a constitutional emirate with a semi-democratic political system.The Emir is the head of state. The hybrid political system is divided between an elected parliament and appointed government.The Constitution of Kuwait is considered as a liberal constitution in the GCC.It guarantees a wide range of civil liberties and rights. 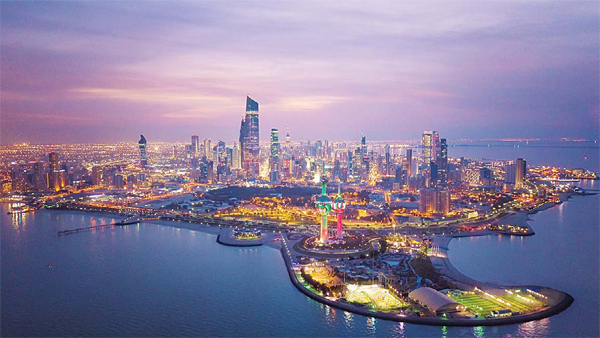 In contrast to other states in the region, the political process largely respects constitutional provisions.History of modern Kuwait began from the middle of 18th century. In 1756, Kuwait became an independent society and Sheikh Sabah Bin Jaber became the first Amir. Since then the Sabah family ruled Kuwait and brought it to the level of a developed state. Kuwait has nine islands, all of which, with the exception of Failaka Island, are uninhabited.Failaka island was inhabited with people 2000 years before Jesus Christ. They had followed Greek culture and traditions. Christian Missionary work started in Kuwait during 1910 when the American Medical Mission of the Reformed Church opened a health clinic, which later became a Men's Hospital. Then they started another hospital for women in 1920. Missionaries and hospital staff used to gather on Sundays to conduct worship services initially in the open air. Then they held the Sunday worship services in houses and hospitals, until a church was built in Kuwait in 1931. Both English and Arabic services were held in the church under the general overseeing of the Arabian Mission. Expatriates in Kuwait account for around 70% of Kuwait's total population.Kuwait has the highest literacy rate in the Arab world.Kuwaiti society is diverse and tolerant. Most Kuwaiti citizens are Muslim;The country includes a native Christian community, estimated to be composed of between 259 and 400 Christian Kuwaiti citizens. Kuwait is the only GCC country besides Bahrain to have a local Christian population who hold citizenship.Kuwait also has a large community of expatriate Christians, Hindus, Buddhists, and Sikhs. Electricity and Water Bills Payment. Malankara Church was never under any foreign rule and give the authority and Church possessions to a foreign Patriarch. +670 77 427 info@st-thomasmtckuwait.com www.st-thomasmtckuwait.com Parsonage Flat 14, 1st Floor, Building 20, Street 10, Block 10 Salmiya Hawalli 13116 Kuwait.